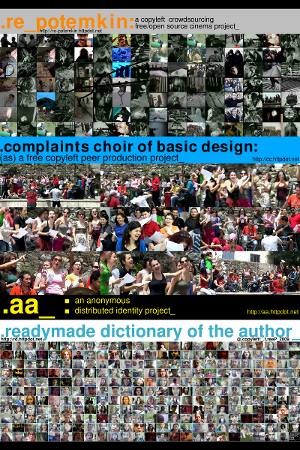 .complaints choir of basic design: (as) a free copyleft peer production project_:.complaints choir of basic design_ is based on the original concept by tellervo kalleinen and oliver kochta-kalleinen to explore the peer production model to create copyleft free/open source content. 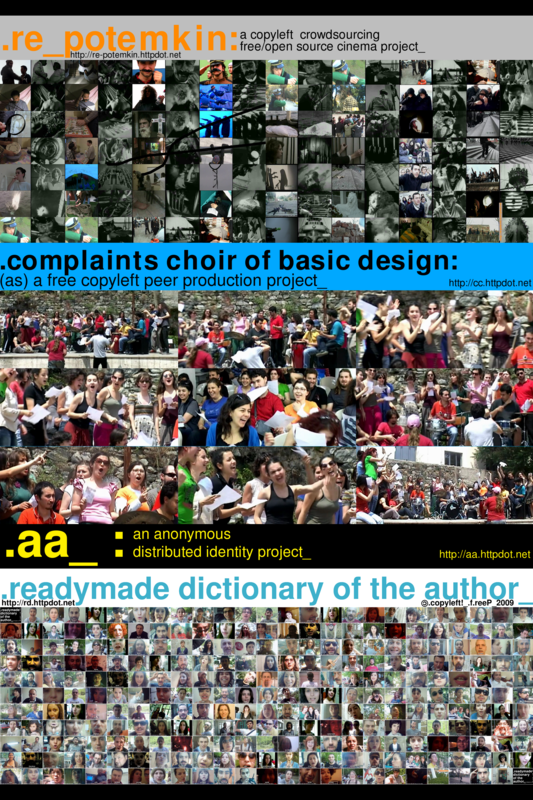 .aa_: an anonymous distributed identity project_:this .f.reeP_ project consists of just creating an identity with an e-mail account and distributing its password on a blog to let people build a distributed identity which can be appropriated for anonymous distributed responsibility of any act. the name chosen for this distributed identity (which is mentioned as “aa” here) is not announced as a part of .f.reeP_ but it is yours to discover and appropriate if you happen to find it out. this distributed identity already has many online accounts and everyone who adds a new account for it announces its password and info on the blog.